This article will show you how to make the fence become more beautiful. Undeniably and certainty of the common cast aluminum fence now but sometimes I feel this material that seem monotonous and rigid for home space.With these simple ways, you can change it effectively. 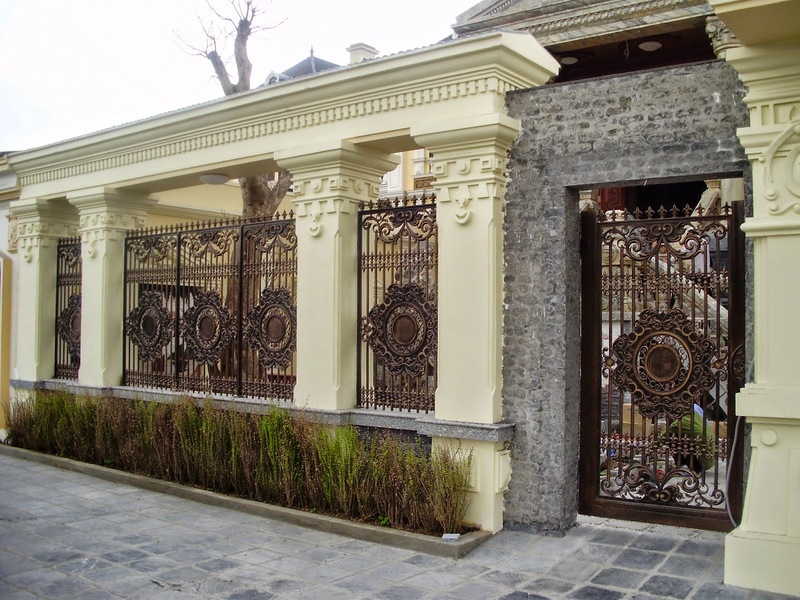 Made from the same material is aluminum, cast aluminum fence is pretty much for the family to use utility that it brings.Footprint, quick installation, a firm with many designs to choose from are the typical advantages of this type of fence.This also kind of fence is well adapted to the modern-style house. With so many advantages, metal fences are increasingly being used much more. 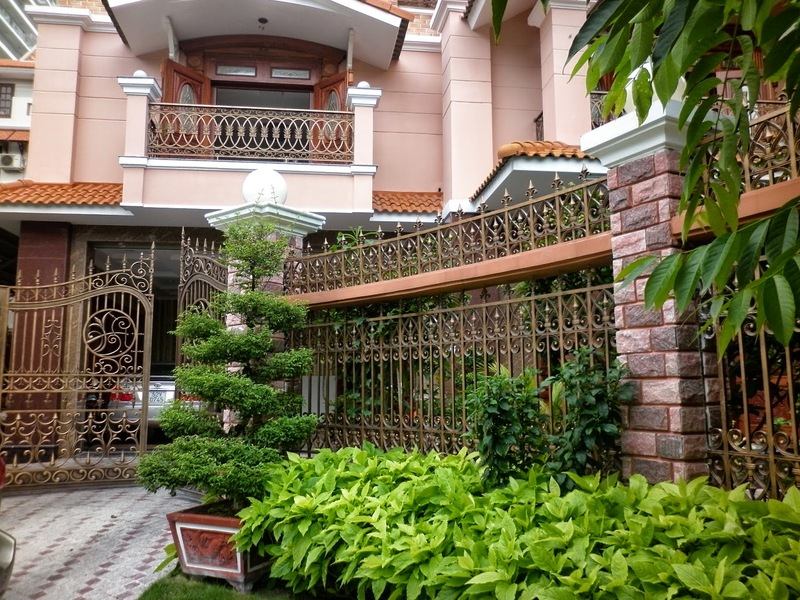 However, sometimes we may feel particular cast aluminum fence, metal fence or tell them, quite rigid and lacking aesthetic nha.Chung house we just made ​​some small changes for fences , offers beautiful accents, the new "bodyguard" of your home. But not everyone knows how to get a nice metal fence. Add texture: advanced casting technology now allows you to bring the unique design aesthetic to the product that you want.This helps the look of the fence aesthetically certainly a lot different in your eyes. These patterns not only make fences become soft metal that is interesting accents for your home. Depending on preferences, as well as general design of the house where you can select the appropriate pattern for your fence. Combined with other materials: Combining metal with other materials such as wood, stone, concrete ... will bring the aesthetic effect that you did not expect.Especially with the house with a high fence, this is a solution you should consider. 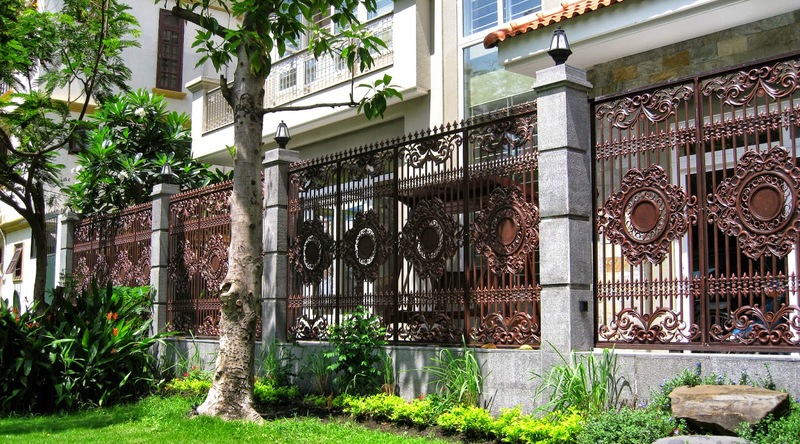 Combining other materials with metal fences will give your home an unexpected beauty. Combined with the tree: If you"re still looking for ideas, try more kinds of trees planted along the fence, climb on the bars, or the colorful flower baskets hanging on metal fence you will see the sudden change in the overall "iron wall" of your home dry. In any space, trees have always been the ability to create elegant and harmonious.And cast aluminum fence is not out of exception. Trees not only works to clean, fresh air, which will also provide a space with a fresh and clean look.Therefore, the more reasonable the trees along with cast aluminum fence is a right choice you should not ignore.With barriers associated with trees, "the guards" not only safety, but also protect your health with cleaner air. 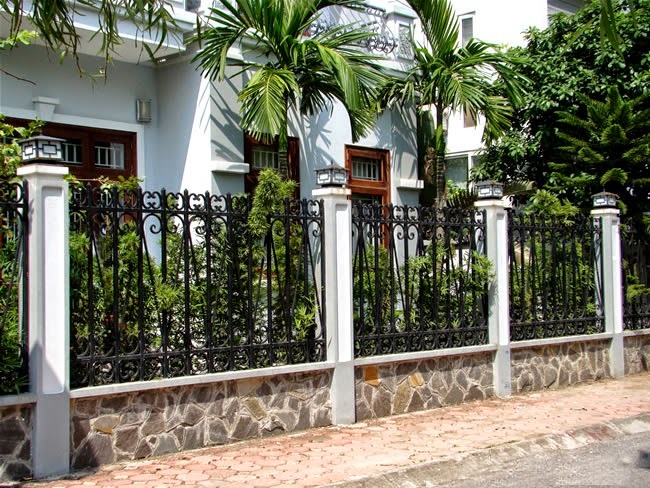 The fence is made of aluminum casting so many choices for their homes because of the advantages that it brings to your living space per family.To get a nice fence but still safe and in harmony with the general appearance of the whole house, small hints here can bring to your home like the best choice.